Comprehensive behavioral consultation services for those pets with significant behavioral problems or pathological behavioral disorders. 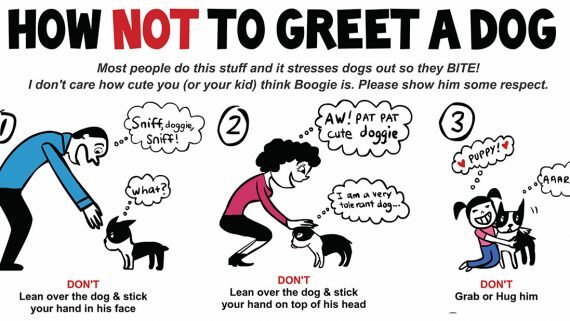 Download instructions on how to greet a dog. 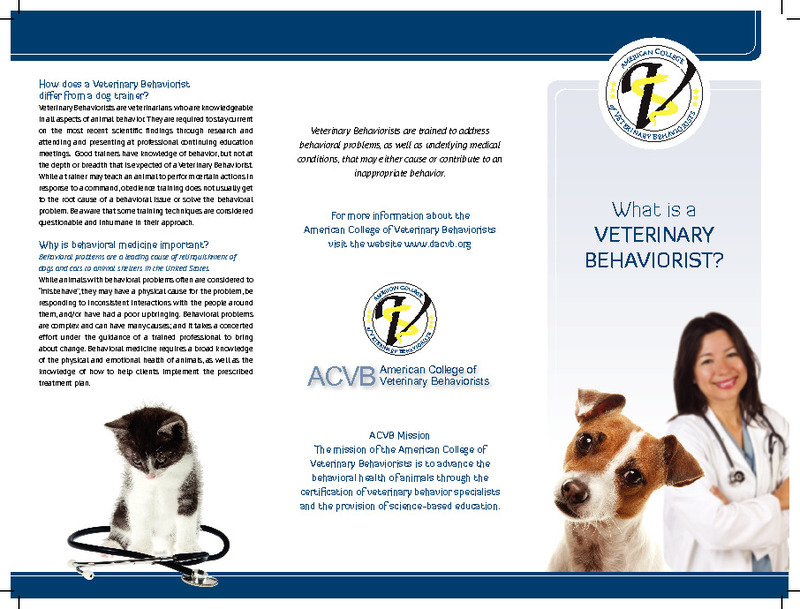 During a behavior consultation at the Behavioral Medicine Service, your clinician will discuss additional history regarding the problems your pet is experiencing, review a behavior profile and further investigate any pertinent medical problems or history that may be linked to the behavior problem. Our behavior support staff will also be involved by recording observations of your pet, getting to know your pet and begin working with your pet with some of the aspects expected to be part of the treatment plan. A thorough discussion of your pet’s diagnosis, prognosis, and treatment options will be included as well as a step by step explanation and demonstration of the treatment plan including management, behavior modification and medication therapy. Telephone or internet consultation services for clients are not available through the Behavioral Medicine Service. We look forward to working with you to help solve your pet’s behavior problem. Please follow the instructions below to set up an appointment for a dog or cat related problem. Please call the Health and Wellness Center client services desk at 919.513.6999 to schedule your appointment. Appointments are generally scheduled on Mondays, Wednesdays and Thursdays. If you are a current client, please go to the Long Term Client Tab. Please fill out a behavioral history form for your pet and return it at least one week prior to the appointment. This information will help us to plan for your pet’s consultation in order to maximize your pet’s comfort and safety while minimizing any undue stress. 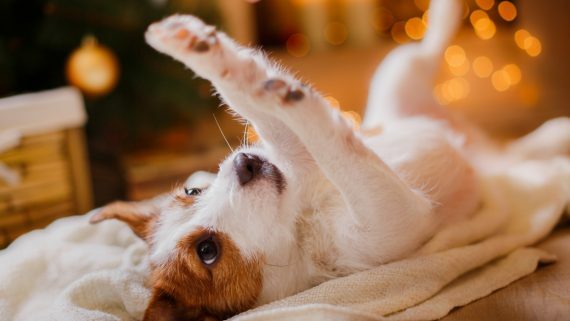 It will aid us to focus on the progression of the problem and provide details of previous management and treatment and your pet’s response to these. Please download the following form (canine or feline), fill it out electronically, save it, and email it as an attachment to us. Alternately, if you prefer, you may print out the form, then fill it out. 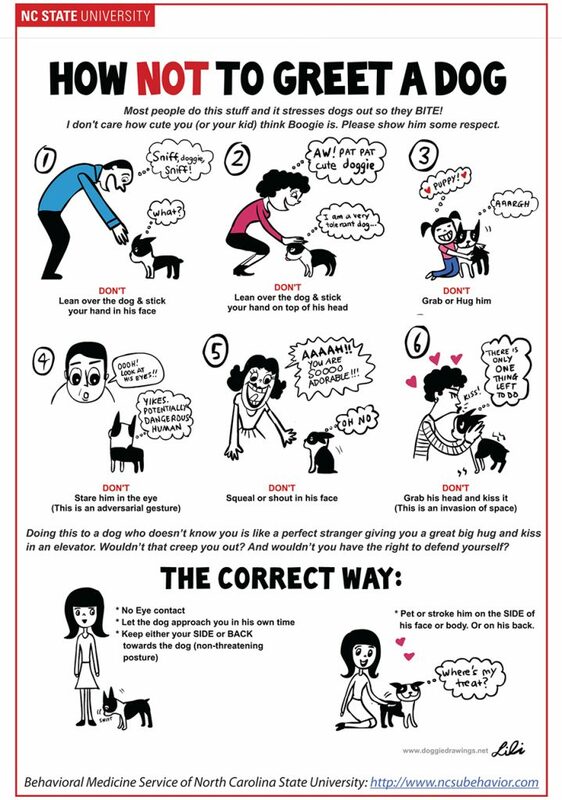 It can be emailed to the Behavior Medicine Service at ncstatevetbehavior@ncsu.edu, faxed to 919-513-6905 or sent by US mail. Choose either the Canine Behavioral History Form or the Feline Behavioral History Form. Please complete the relevant form and send to us so that we have it in our office at least one week prior to your appointment. Vaccination records- all pets must have proof of current rabies vaccination prior to the consultation. A deposit of the full initial consultation fee is required upon scheduling the consultation. This can be made by credit card over the phone or a check by mail. Should you need to cancel or reschedule an appointment, please contact the NCSU Health and Wellness Center front desk at least 2 business days in advance in order for us to fill the appointment with pets from our waiting list. Any no-show, cancellation or reschedule request made less than 2 business days prior to the scheduled consultation will result in forfeiture of the full deposit. We accept MasterCard, Visa, Discover Card, American Express, cash and checks. We also offer CareCredit financing through GE Money Bank. Plans available are 6 months no interest or extended financing from 24 to 60 months. Applications can be submitted online at www.carecredit.com to receive an immediate response. After the initial consultation, we welcome your brief phone calls and e-mail communications for progress reports, clarification of the current treatment plan, or questions, and are always happy to communicate with your pet’s primary veterinarian. Please let us know by phone or e-mail if you have any questions. We would like to help you and your pet. A copy of your pet’s medical record, from your primary veterinarian. 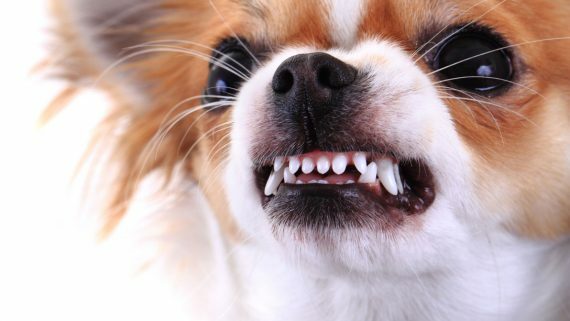 Medication may be recommended for your pet, as part of the behavioral program. We would be glad to manage the prescribed medication for a year following the initial visit. If a refill is needed during this time, please call or e-mail with your specific request (your name, pet’s name, pharmacy name and number, medication name and amount of medication given daily), and a note indicating how your pet is doing. Thereafter, we will need to see your pet in our office once each year in order to continue to prescribe medication. Sara Bennett recently joined the CVM as the new clinical assistant professor of behavioral medicine at the NC State Veterinary Hospital. When am I going to see a doctor? Please note that our Interns and Residents (aka House Officers), are fully licensed doctors with the same education and credentials as a general practitioner. There will ALWAYS be a doctor in charge of and supervising all aspects of patient care at the VH. In many cases multiple specialists may consult on a patient should their expertise be required. Typically, a fourth-year student will first collect a detailed history and present this information to the doctor in charge. You will then have an opportunity to discuss things in detail with the doctor and together you and he/she will formulate a diagnostic and treatment plan. What does it mean to be a ‘teaching hospital’? 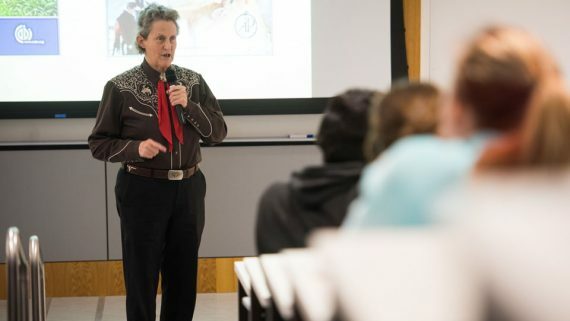 In addition to having access to cutting edge diagnostic tools and therapeutic alternatives, the most unique aspect of our facility is that every patient is a learning opportunity for our students. Much of this teaching is done ‘behind the scenes’ as we discuss your pets’ diagnostics and care. What this means to you, the client, is that the process may take somewhat longer than it would at a private veterinarian practice. However, this also means that we have the ability to consult with multiple doctors and a variety of specialists in complex cases. My doctor introduced him/herself as an Intern or a Resident – what does that mean? It is important to understand that every intern or resident at the VH is a fully licensed doctor with the same education and credentials as a general practitioner. Interns and residents have chosen to pursue additional, in-depth postgraduate clinical training and were selected by us in a highly competitive international application process. We think you are in great hands! Is there food and water available for my pet while I wait? Feel free to ask the front desk for a bowl if you would like to offer water to your pet. However, we do ask that you refrain from feeding your pet. Many procedures require sedation or medication with drugs that could upset your companion’s stomach if there is food present. If your pet must eat for medical reasons (eg. diabetes), please ask the front desk to inform the doctor in charge and make sure they are aware of this first. I am finished with my visit, why do I have to wait? One of our goals for our clients is that everyone leaves with detailed discharge instructions. We write our discharge instructions in as detailed manner as possible to help summarize the information covered during the visit and give you specific instructions as to medications, diet, activity restriction, and any other pertinent aspect of care. 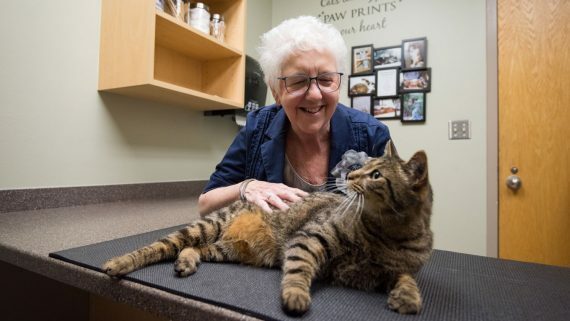 It may take us some additional time to write these for you; however, this can significantly ease the transition home and back to your regular veterinarian. You are a State facility, so why are your fees so high? The VH is a not-for-profit health care center and receives less than 2% of operating costs fromthe State of North Carolina. The majority of our operating costs are paid by client fees and donations. In fact, many of the state-of-the-art diagnostic and treatment options we offer are only possible because of generous gifts from our clients. Our fees are set to cover the balance of our operating costs, and we are always looking for ways to provide better service at lower cost. Total costs are comparable to those of veterinarian specialists in private practice.